Size of this preview: 580 × 600 pixels. Other resolutions: 232 × 240 pixels | 594 × 614 pixels. 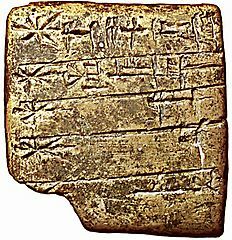 Description: List of gods in order of seniority: Enlil, Ninlil, Enki, Nergal, Hendursanga, Inanna-Zabalam, Ninebgal, Inanna, Utu, Nanna. 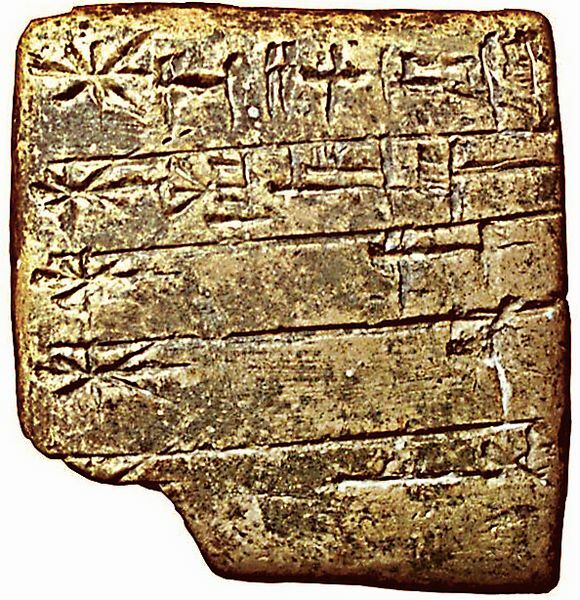 Sumerian cuneiform script clay tablet, Sumer, 1 tablet, single column, 5+5 lines.